"Their departure from the local market is a matter of time," Poroshenko says. The National Security and Defence Council (NSDC) has decided to prolong sanctions against banks with Russian state capital. Earlier, President Petro Poroshenko said that in the past three years, the share of these in Ukraine's banking system reduced from 10.6% to 5.6%. In 2017, their net assets shrank by one-third, individuals' and entities' deposits from 28% to 34% correspondingly. The president said it was critically important to ensure that companies' money in these banks are safe and that their departure has no impact on the country's economy. 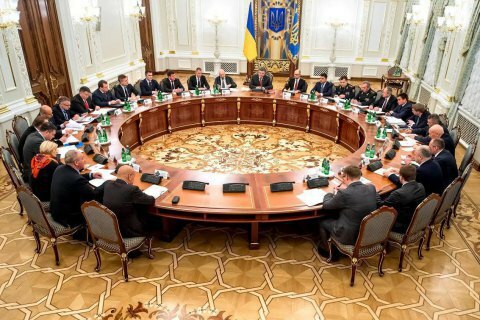 On 15 March 2017, Poroshenko enacted the NSDC decision to introduce one-year restrictions with regard to five Ukrainian banks owned by Russia. These are Sberbank, VS Bank, Joint-Stock Commercial Industrial Investment Bank (Prominvestbank), VTB Bank and BM Bank. Affiliated persons cannot transfer their funds abroad. Over the year, Russia has only managed to sell a small Lviv-based bank, VS Bank. It was bought by businessman Serhiy Tyhypko.